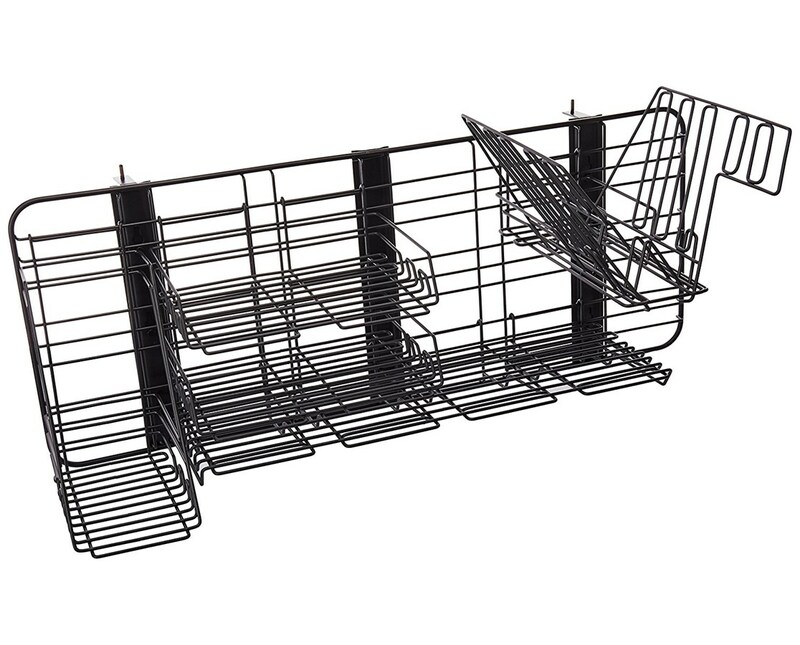 The Safco GridWorks Compact System is a simple panel organizer that provides multiple storage spaces. 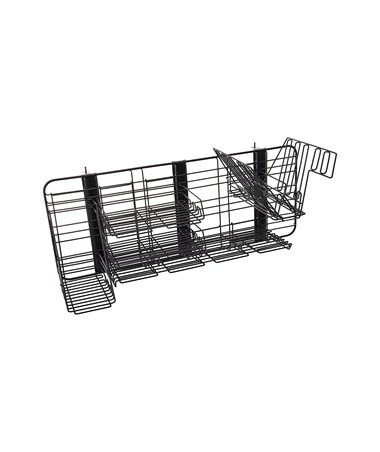 It features components the easily lock into the 38-inches-wide GridWall and can be repositioned when desired. These components include two letter trays with 35 pounds capacity each, two slot sorter with 10 pounds capacity, 40 pounds capacity binder bin, and a two-inch shelf that can hold up to 40 pounds of weight. 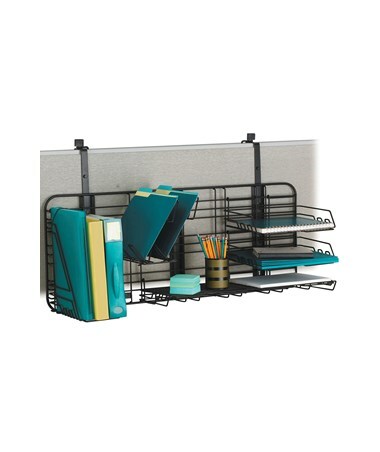 This storage system easily mounts over up to 2-5/8-inch thick panels and adjusts three levels in 4.5-inch increments. This compact system is made of welded steel with a continuous-loop design and a hardened epoxy finish. It is GREENGUARD certified which means it is safe for indoor use. Each package includes a mounting hardware.